Singer Ali Bodycoat will need no introduction to local jazz aficionados. A regular performer at Perth’s Ellington Jazz Club, she’s also a Fringe World veteran. This year she’s all about powerhouse women, performing solo in “From Bodycoat to Barbra” and joining forces with Jessie Gordon in “Peggy Lee and Judy Garland”. Ahead of her back-to-back season, Bodycoat sat down with Seesaw for a Fringe Session Q&A. Seesaw: When did you first know that you wanted to be a singer? Ali Bodycoat: I have always wanted to perform – for as long as I can remember I had a huge desire to be in the entertainment industry. 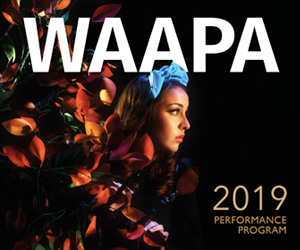 AB: The most influential formal training I had came from three incredible women – Sandra Gorringe, my high school drama teacher, Janice Taylor-Warne my classical voice teacher at WAAPA and Helen Matthews, my private jazz voice teacher. To this day, the techniques that were taught to me by these marvellous three are a part of how I approach the stage in any genre. I completed a Certificate of Musical Theatre at WAAPA and literally “fell” into the jazz world in Perth. The greatest lessons are still continuing and these are and always have been, on the job! AB: Remember why we are doing this, focus on the music and the reasons behind the song – not yourself, and never, ever break an audience’s pre-conceived notions of the fantasy of being entertained. Most importantly, develop your technique and routines early so you always have that strength to fall back on. AB: The joy of giving an experience to an audience – for just one tiny moment, you are their travel guide and you can take them anywhere to which their mind chooses to travel. There is also something incredibly special about making music with a group of musicians who are as behind the music as you are. AB: Performing with the West Australian Symphony Orchestra and also the Proms New Years’ Eve Concert with Mark Coughlan at the Perth Concert Hall. AB: Oh so countless – each performance has its moments of hilarity – probably being naked onstage but that’s another story…! AB: The unforgettable Jessie Gordon and I perform together in “Peggy Lee & Judy Garland”. “From Bodycoat to Barbra” presents the music of Barbra Streisand. Both shows are at the Ellington Jazz Club and are one hour slots jam-packed with the legends of the women and their music! AB: As much as possible… get out that programme and DIVE IN! at the Ellington Jazz Club on Beaufort Street. Pictured top: Ali Bodycoat with Jessie Gordon. Previous postComedy: Tom GK: Hearing Loss, The Musical!